Welcome to the new and exciting Africa Nature Training blog... You can now keep up to date with all the action on our courses and share in the wildlife experience! The Wildlife Photography Course took place this weekend and it was truly eventful. From leopard sightings to exhilarating elephant encounters, it was a weekend not to be forgotten. 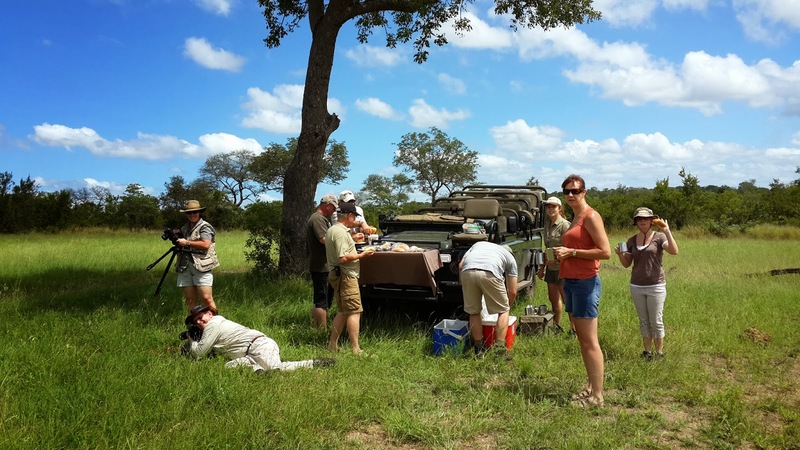 The students arrived in the Sabi Sand Reserve on Friday to a very wet camp. 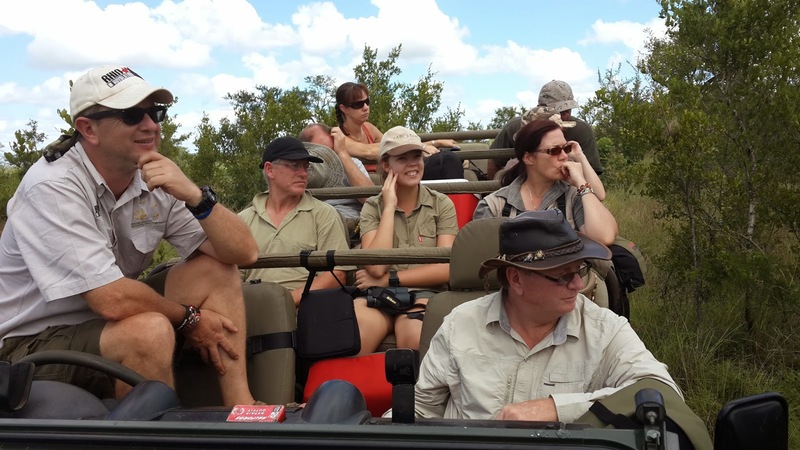 As everyone got settled in, the weather had cleared just in time for a great afternoon game drive. 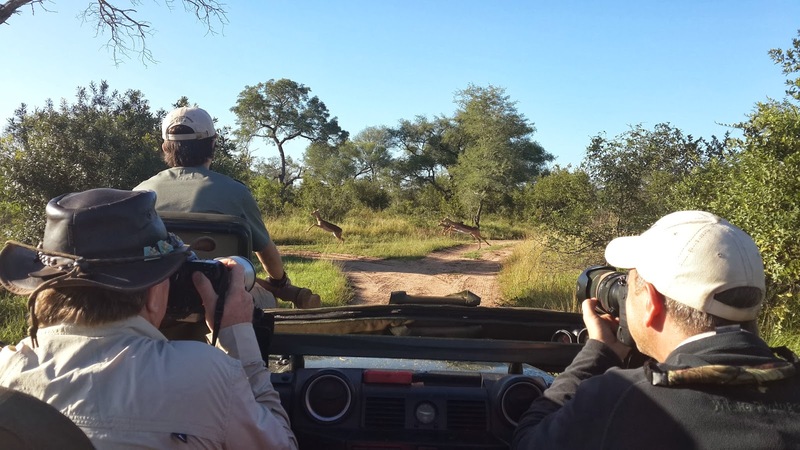 We had incredible sightings of the famous mammals such as elephants, buffalo and lion, but the rutting impala, photogenic hornbills and dazzling zebra caused much more entertaining opportunities for our photographers. The most surprising experience was photographing mushrooms in elephant dung, believe it or not! The students got down and dirty to get 'the' shot when, moments later, someone spotted a passing leopard about two hundred metres behind us crossing a dry riverbed! 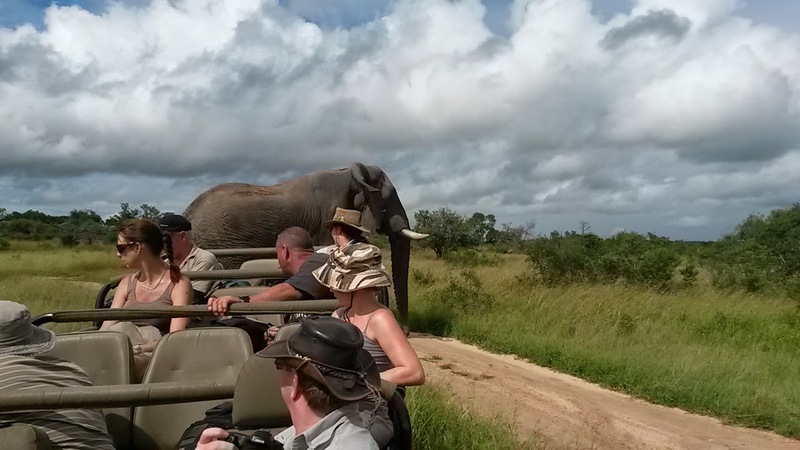 We all hopped on the vehicle in pursuit of the leopard. We had a brief sighting before she decided to make herself invisible, as leopards do best. We had the odd shower or two while on drive but nothing that these photographers weren't prepared for. The smell of fallen marulas filled the air, followed by a whiff of elephant dung now and again :). Another highlight has to be an old elephant bull - we admired the animal feeding on a knob thorn after eating some dusted-off grass. He was extremely relaxed and it was a privilege to witness the natural behavior of this elephant. He then slowly approached the vehicle and passed behind us which was also a magnificent moment! The nights were magical around the fire with Mandla's famous food such as his chicken potjie, beer bread and delicious potato salad. The infamous call of the Scops owl and Fiery-necked nightjar with the moonlit skies left us feeling mesmerized by everything nature has to offer. We were visited by a genet, hyaena and even an elephant near camp. To top it all off, we also heard something being hunted near camp, which we presume was a leopard kill less than five hundred metres away. 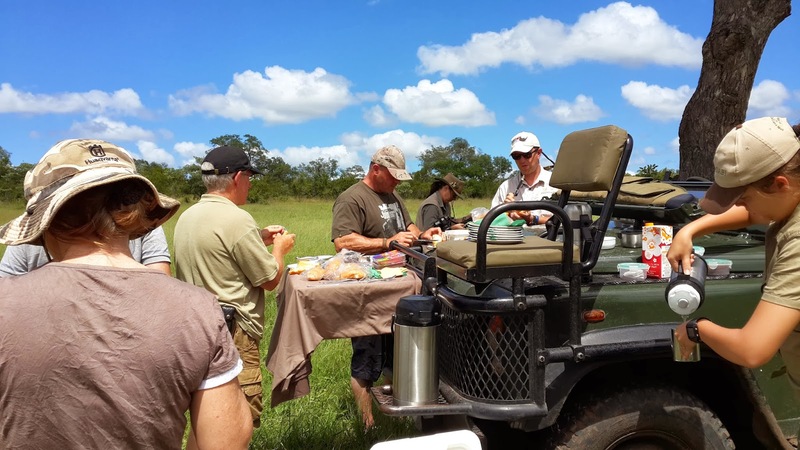 We treated our photographers on the last morning to a 'bush brunch' which was a wonderful experience. We stopped at an open area and unpacked the tea and coffee with some croissants and muffins and the rest was pure bliss. We got some great shots and even more unforgettable memories. What an amazing weekend! It was a stunning weekend. Thanks ANT! Our return to Nkombi camp was something special. This time without the pressure of a looming exam. We were there to just enjoy our stay. It was even more special to have two of our former class mates there to play host to us. May our return to Nkombi be a quick one. A special thanks to Chris, Conrad, Chanyn, Mandla and Bennie. Thanks ANT for hosting the photographic competition. Thanks to all the sponsors ... the prizes were superb. And most definitely thanks to everybody sharing this weekend. It was super special and hopefully our photography will reach the next level, thanks to the training and chances to take some photos. Welcome to Africa Nature Training's blog!